I started making my playscale chairs for Momoko and Blythe dolls. They are about 10-11 inches tall. 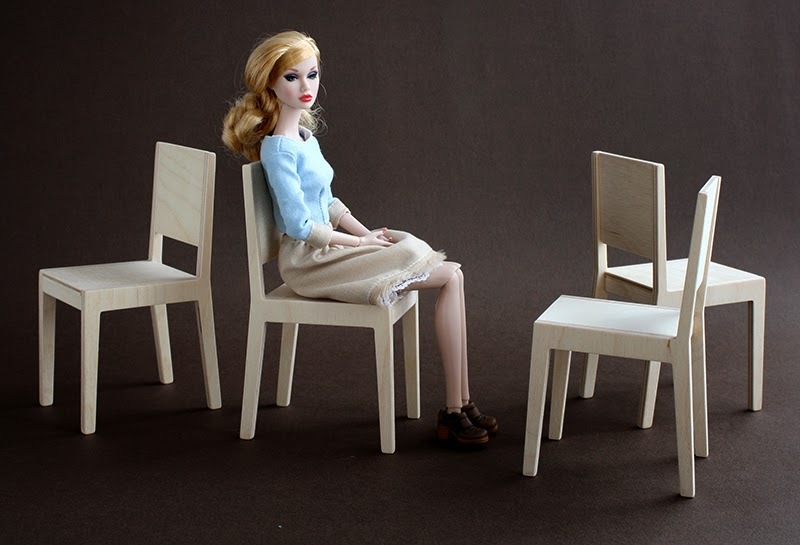 Most of my previous chairs are great fot them but a little to small for 11-12 inches dolls like Poppy Parker and other Fashion Royalty girls. So I decided to create a little bigger chair. '601-07' is perfect for taller dolls in 1/6 scale. Chair for 11-12" dolls. Model 601-07. Height 15,5cm (6 1/8"), seat height: 8,3cm (3 1/4").